This beautiful necklace is romantically elegant and delightfully feminine - a wonderfully captivating necklace. 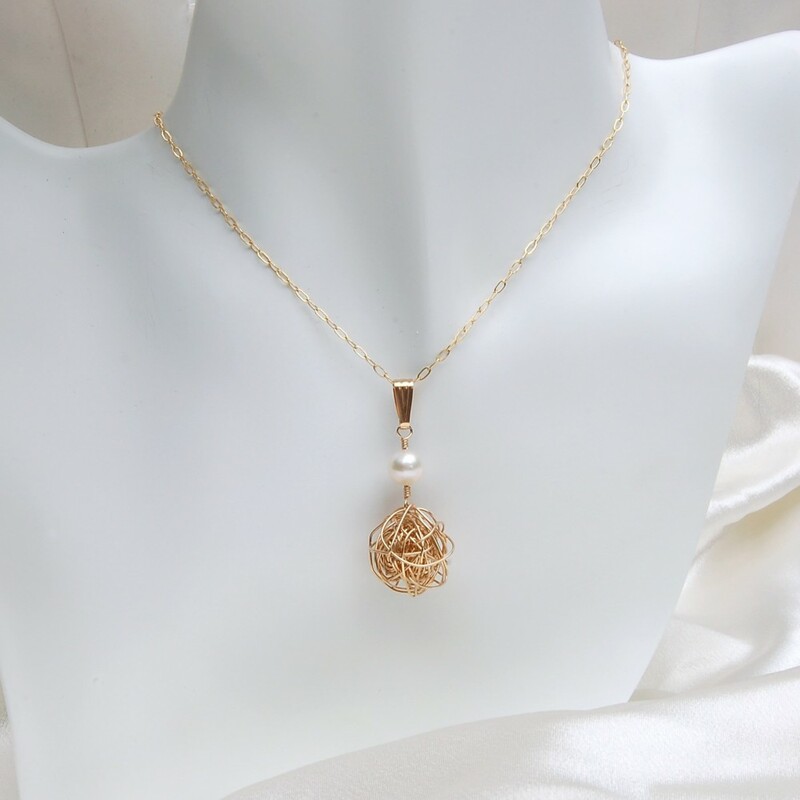 This necklace was made primarily for our wedding bridal collection and has proved extremely popular due to it's versatility and is a must for any future bride or bridesmaid with the vibrancy this necklace shows especially with the accompaniment of the AAA grade pearls we use, the luster is fantastic. 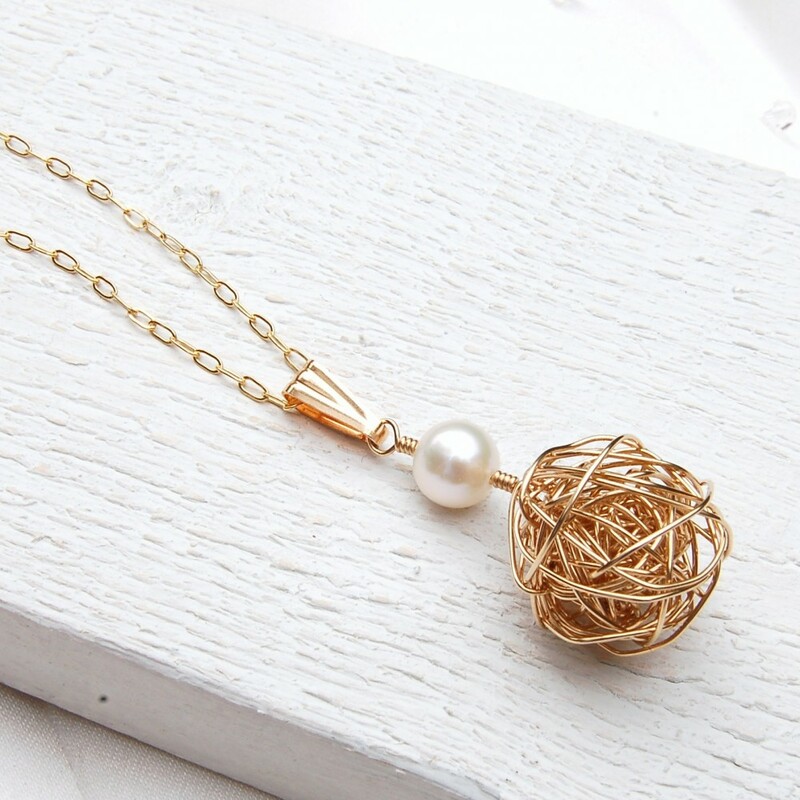 Lengths of Gold Filled wire are wrapped and weaved into a ball which measures approximately 15mm in diameter and is topped off with a AAA quality freshwater pearl. The pendant hangs from a simple but elegant Gold Filled bail and drawn cable chain which is available in a variety of different lengths to suit each individual. Matching earrings are also available as is a version without the pearl and if you purchase the necklace and earrings together as a set a discount will be applied. Both versions are also available in Sterling Silver. IndiviJewels designs and makes all its own work so if you are looking for something a little different then please contact us and we will see what we can do for you. 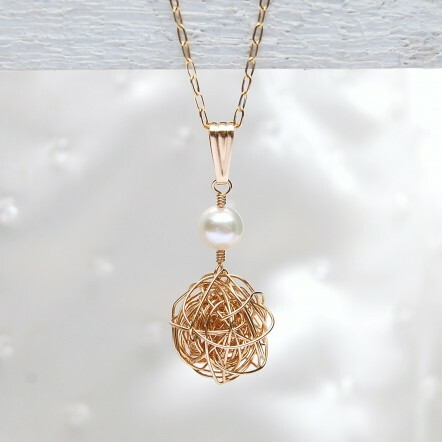 All components of this necklace are 14ct Gold Fill and the pearl is a AAA quality freshwater pearl. Gold filled is an actual layer of gold,pressure bonded to another metal and has a much thicker layer than a standard electroplated coating (gold plated). As such Gold filled is much more valuable and tarnish resistant and it does not flake or rub off.